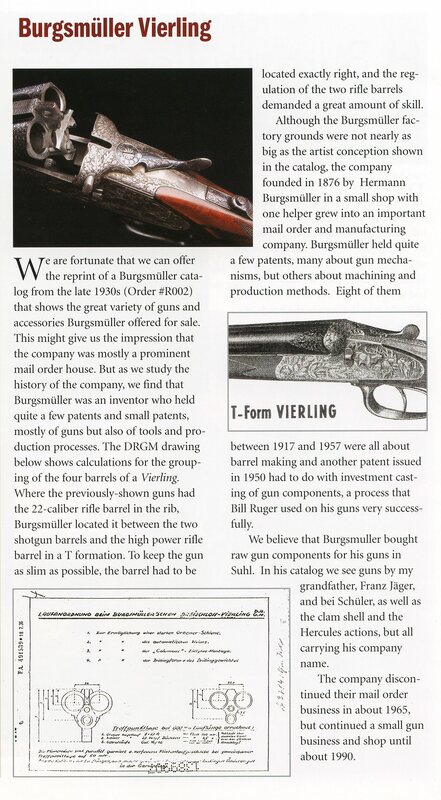 The German Gun Collectors Association has a 129 page Catalog reprint from the late 1920’s available for purchase. Click here to go to thier site to view thier offerings. 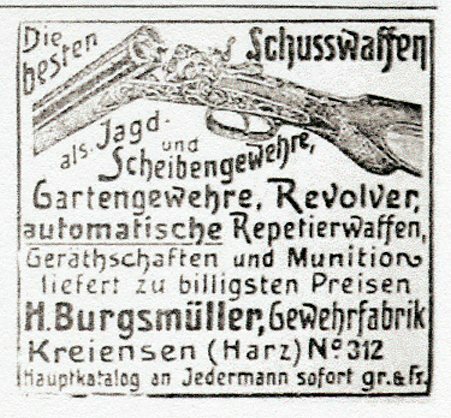 In 1876 Hermann Burgsmüller began manufacturing firearms in a small combination shop and residence at Bahnhofstrasse 2 in Kreiensen. The firm was known then as “H. 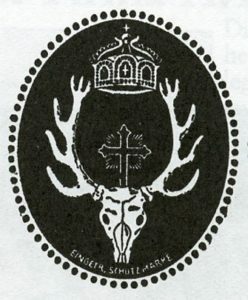 Burgsmüller, Gewehrfabrik Kreiesen”. The town of Kreiesen am Harz lies half way between Hanover and Kassel and is the juncture of Railway lines running east-west (the Brunswick State Railway) and north-south (Hannoverian-Prusian State Railway). This was an ideal location to set up a shop which quickly became a major manufacturer and also a dealer of guns made by others. 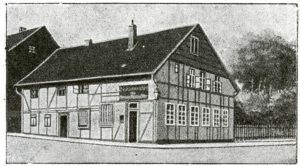 The original home and shop of Hermann where he started his business in 1876. Twenty two years later in 1898 the firm moved to a larger building as business prospered. 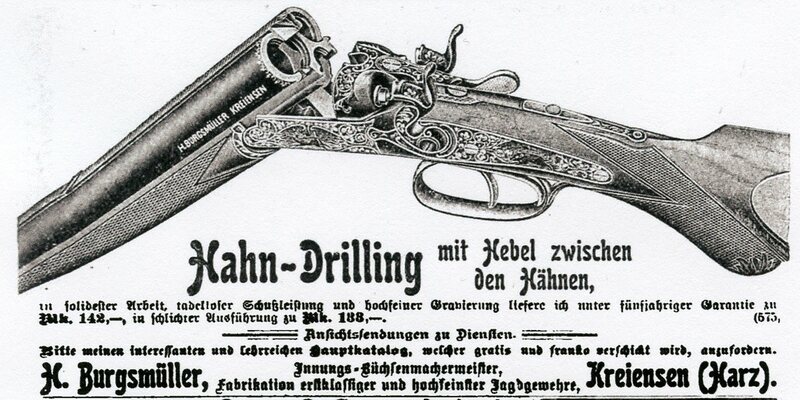 In 1905 Hermann’s son Karl became Manager of the Company and the Company name was changed to “H. 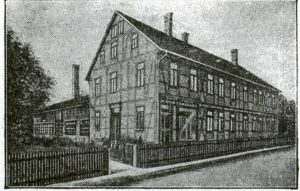 Burgsmüller & Söhne” In 1906 the firm again moved to the present location at Hainbergstrasse 1. In 1929 the firm name again changed to “H. 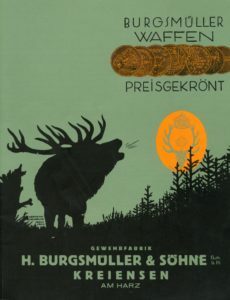 Burgsmüller & Sohne GmbH”. 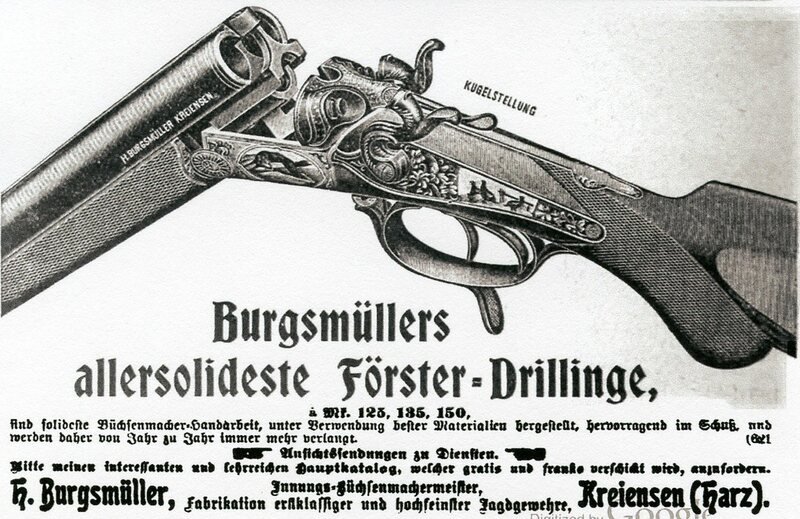 It is said that during the first World War Burgsmüller was a major producer of armament for the German Army. They even held a patent for a trench mortar. In the late 1930’s the Company began designing and Patented specialized machinery for firearms production. 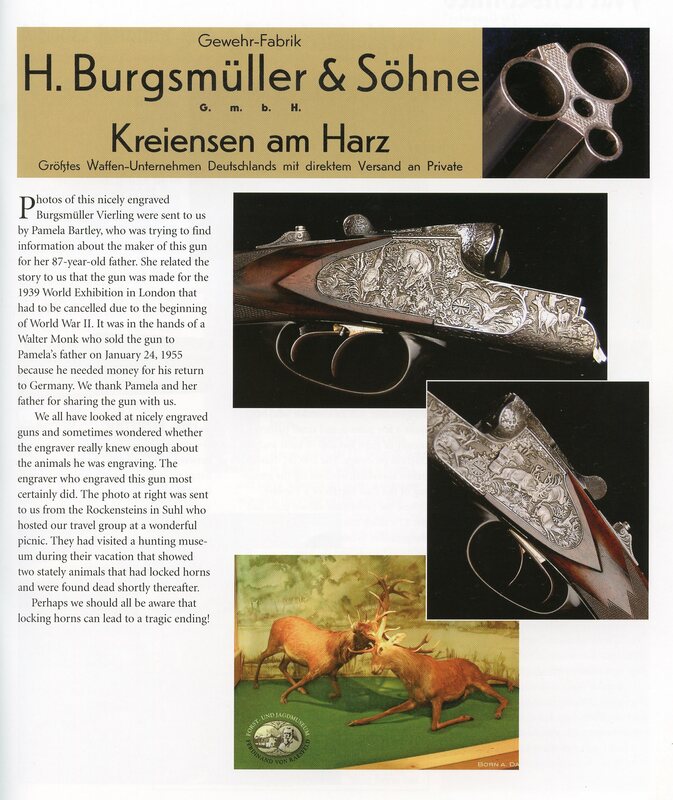 Eventually this became the sole focus of the company and the gun department was shut down altogether in 1990 when the Company was aquired by the Herman Berstorff Machinery GmbH of Hannover. W. Voss and Haselhorst & Co. In 2008 my friend Axel Eichendorff wrote the following in response to inquiries about the following names. 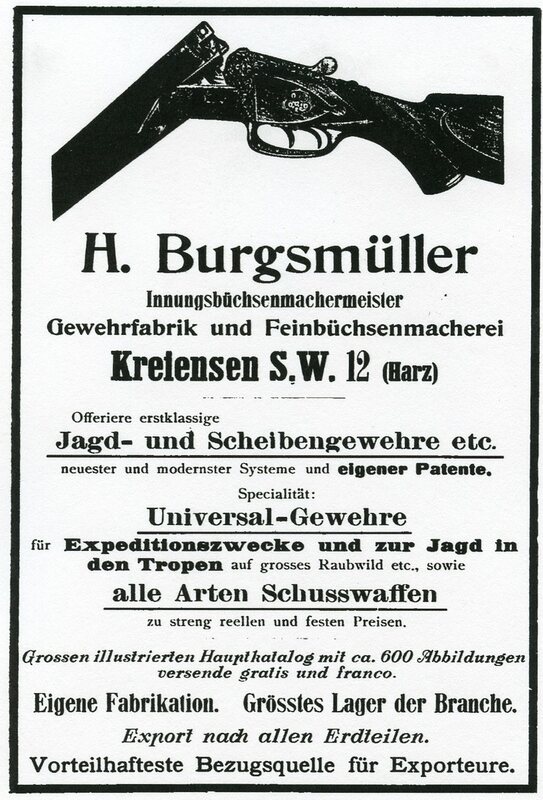 The Burgsmüller Co. not only developed and manufactured firearms but also specialized in the precision machinery to manufacture them. A machine for deep hole drilling was one of the many machines and DRP76138 of Nov. 8, 1951 was for a Deep Hole Drill Bit and DRP959998 of March 14, 1957 for Loose Chip management? A view of the factory prior to the first World War. 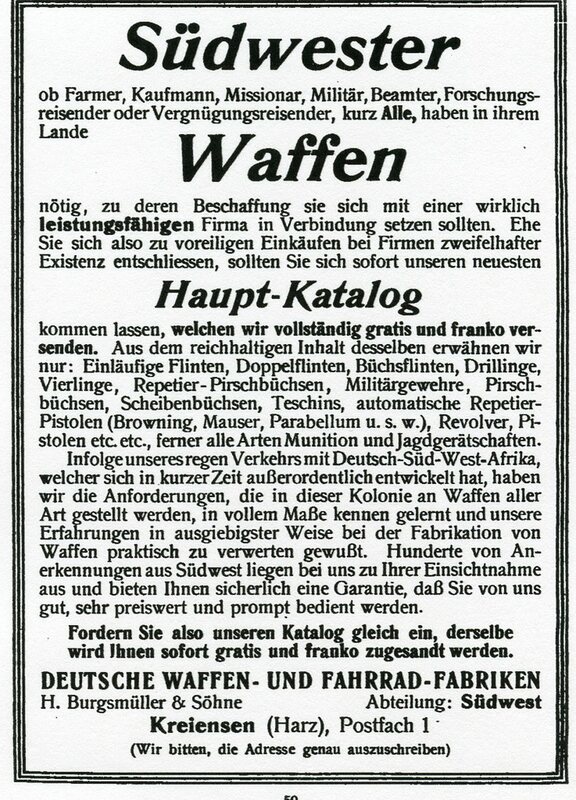 In the late 1950’s or 1960’s the Company published a document called the Waffenspiegel. Click here to view this interesting document. 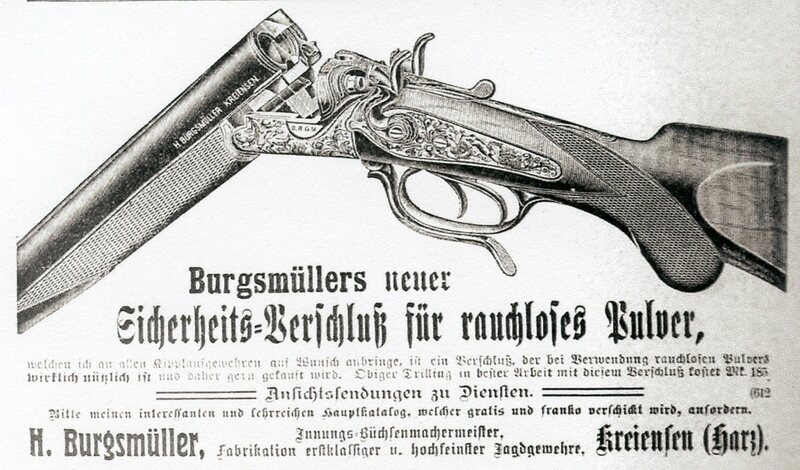 The Burgsmüller Co. advertised heavily in foreign publications, especially those in Africa and South America. The following advertisements are just a few.